Since its launch in 2001, skrill is making digital payments and money transfer through internet simple, secure and quick. 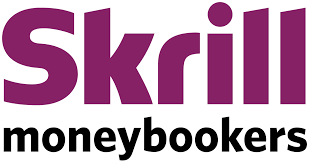 Skrill is a truly global company owned by Skrill Limited, a UK-based company registered as a Money Service Business with Her Majesty's Revenue and Customs, regulated by the Financial Conduct Authority and licensed to operate within the European Union. Skrill has its headquarters based in London and other offices throughout Europe and the US, with over 500 staff representing more than 30 nationalities. Skrill is a recognized world-leader in developing global payment solutions for people’s business and pleasure, whether they’re depositing funds on a gaming site, buying online or sending money to family and friends. Its main area of focus is meeting the needs of businesses worldwide, helping them build a global customer base to drive growth.